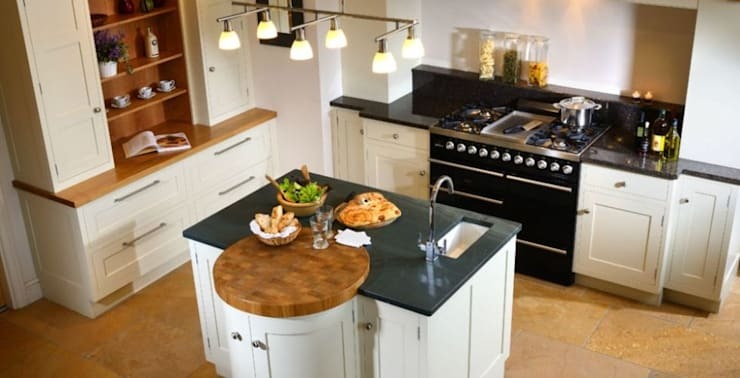 Kitchens are a room we all use every day and spend a great deal of time in, so they naturally grab our attention when we fancy switching things up a little. 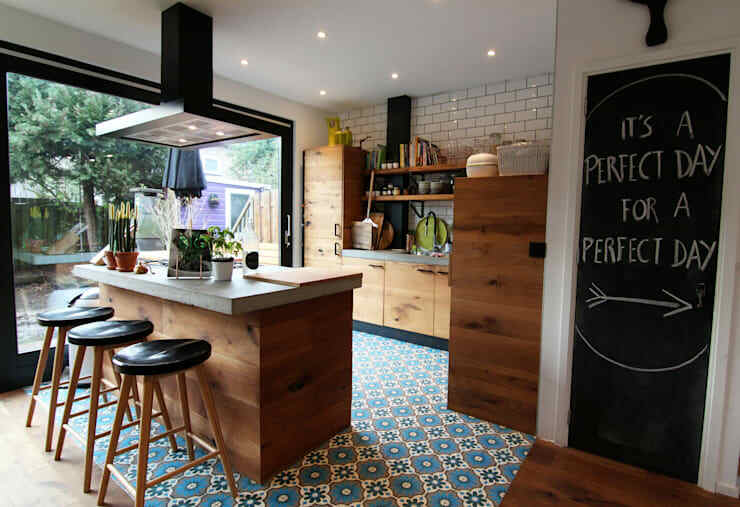 What starts out as a niggling fancy can quickly turn into a full-blown obsession and a total remodel if we're not careful, so we've compiled some quick and easy upgrades that should have you falling back in love with your existing kitchen in no time. Best of all, none of these ideas will cost you the earth! 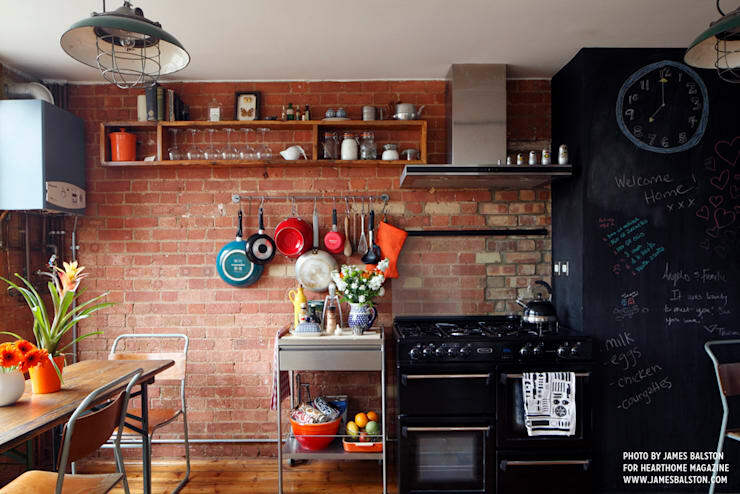 Put your kitchen planner appointment on hold just long enough to take a look at these suggestions and see if there might be a simple (and cheap!) solution to your kitchen headache. 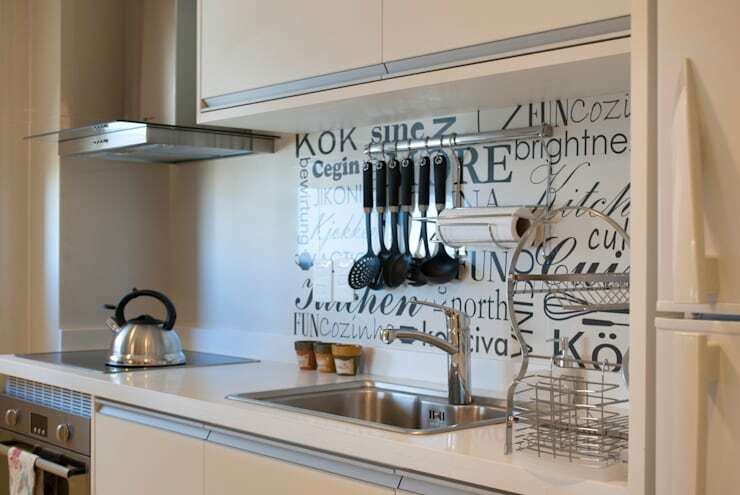 Tiles, glass panels or even stainless steel sheeting all make great splashbacks and none of them will cost you too much money. We think this fun script variety makes a big statement and looks as though it will be easy to clean, which is a key consideration. Rather than oversized islands and separate dining tables that all make a room feel extremely small and difficult to navigate, why not combine the two functionalities into one smaller item? 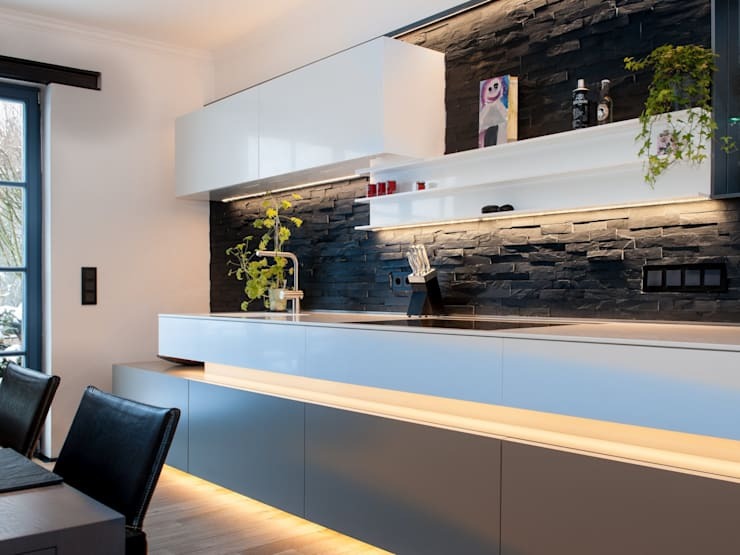 Your kitchen will seem like it's been extended! You might be wondering how you'll cope with less storage but less cupboards don't equal the same thing. You can replace bulky cupboards with sleek open-front shelves that really change the feel of the room. It's finally time to put the good china out on display! 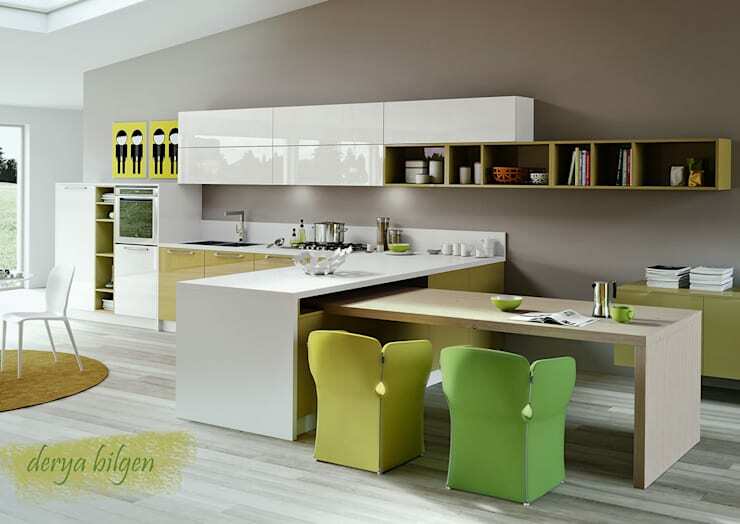 Pick a super bright accent colour to add into your kitchen and all of a sudden it will feel as though you changed the entire décor. All it will take is a few items, such as a knife rack, a utensil pot and maybe a cruet set. Plants and kitchens go together like strawberries and cream and they can be just as delicious, if you choose herb plants instead of purely decorative items. A small herb garden won't take up much room but the aroma alone is worth a little counter sacrifice! As we said in #3, cupboards don't always equal lots of storage so get your thinking cap on and be a little more creative. We always love hanging rails that display pans and utensils as they look super cool and accessible, which is everything we want in our kitchen. Replacing old-fashioned flooring with a more contemporary style is quick and easy if you choose something like Linoleum or vinyl flooring. DIY store always have deals on flooring too so you could really clean up, while getting a far fancier looking floor! 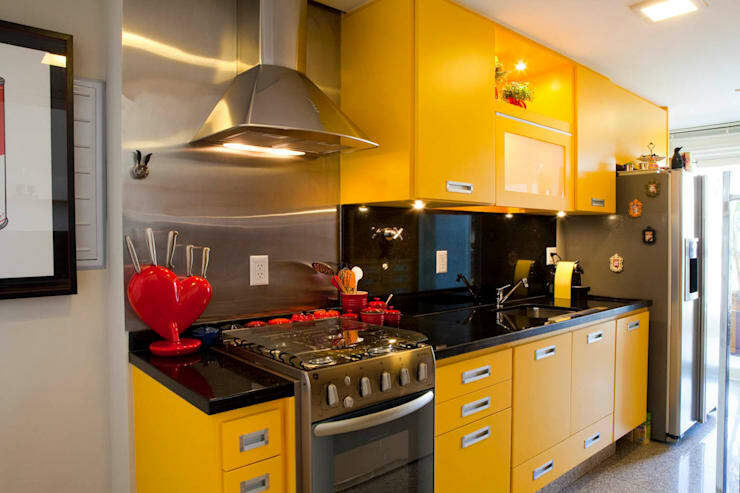 For what not to do with your kitchen, take a look at this Ideabook: 12 ugly modern kitchens that will make your shudder. Which of these upgrades might you try in your kitchen?